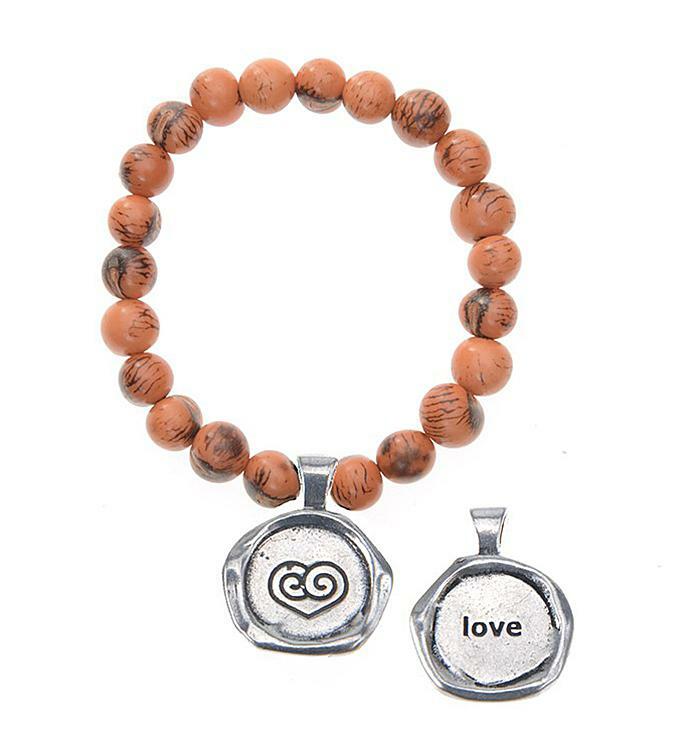 You deserve love and you'll get it with this charming handmade bracelet. Made with naturally-dyed seeds, add a touch of style to any blouse or dress up your favorite pair of jeans for an unforgettable night out. You deserve love and you'll get it with this charming handmade bracelet.